LED Street Lighting also popularly known as LED pedestrian light has become highly preferred these days due to its ability to give long term usage as well as maximum output in terms of high levels of brightness & luminosity on the roads. LED Street Lights are also eco-friendly, as they do not make use of chemicals during their manufacturing process. In Addition to this they also consume minimal energy, thereby saving a lot of expenditure incurred on the same. It is very important for Street Lighting to be visible enough for vehicle drivers and the pedestrians. LED Street Lighting produces High levels of Focused Lights on certain specific areas of the street, due to which the light is equally distributed amongst the road. This enhances visibility and therefore works as a kind of safety precaution. LED Pedestrian Lights are highly durable nearly for as long as a couple of years, due to which one does not have to go through the hassles of replacing them in short intervals. Street lights are placed on a public place therefore it is highly beneficial to simply install these lights and use them for years without having to go through the pain of changing them in every few months. Moreover street lamps are often at a huge height, which creates additional inconvenience for re-installation within short intervals. 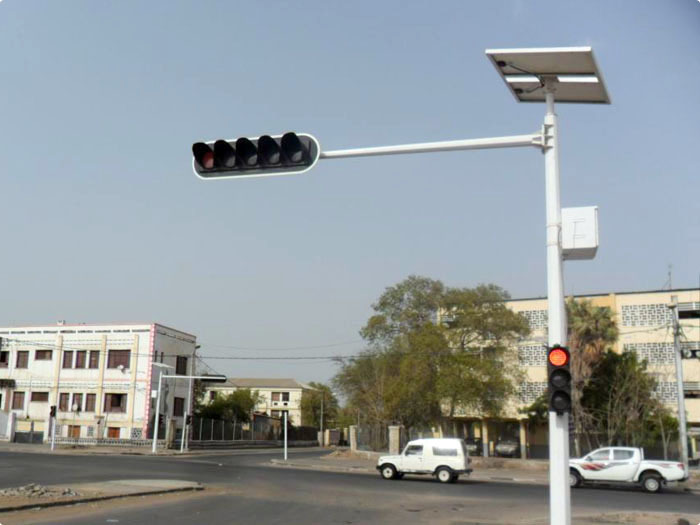 New Standard Electronic LED Systems which are the newest addition to LED Lights, have the aptitude to be reduced or brightened depending upon the visibility on the streets, which helps in preventing many road accidents that mostly take place due to heavy or minimal street lights. For external surroundings that require consistent lighting, a variety of Led Lights are now made available with Diffusion Lens that leads to appropriate amounts of light and brightness scattered equally in every area. LED Street Lighting is also preferred because of the fact that as compared to neon, incandescent or even Halogen bulbs or tubes which get heated within a couple of minutes after its use, LED lights takes a very long time to start heating. Moreover the exterior of these lights are not made of glass which further slows down the heating process thereby keeping the surrounding extremely cool. LED Lights are available in many colors, but are specifically chosen in mild and glowing colors. LEDS are also now used us traffic countdown timer in place of tradition timer. Since the 1990s cities in the U.S. and Europe began replacing incandescent-based traffic lights with higher energy-efficient solid state lights, LED has been taking to streets. At that time LED is not powerful enough to be used in street lighting. In the past period, the technology of LED progressed. Now more and more street lighting projects choose LED sources. It took the market of high pressure sodium and mercury vapor gradually. Led street light also known as led pedestrian light is considered the best option for outdoor lighting. Compared to ordinary lights, these street lights have a number of advantages. With the advance in technological features, lighting systems have undergone a tremendous change. Today majority of the cities have street lights which contain led bulbs. More and more cities around the world are installing LED street lights due to the wide range of benefits they offer. The use of these lights is also seen in homes, offices and other public spaces as sustainable lighting is the need of the hour. Installing them have resulted in huge savings. Due to their various beneficial features, they are also considered as , intelligent traffic controller in the traffic industry. Outdoor lighting has become quite a trend and there’s no wondering why since it’s a form of security, guides our way through the darkness and is just absolutely convenient. It actually isn’t eco-friendly, these outdoor lights and we’re always looking for solutions to overcome problems regarding the environment but never can we find ones that can make a difference. LEDs clearly represent the future of lighting. Energy efficient and long-lasting, LED lights have won over people who are trying to be green in their homes as well as business owners who see the value in lamps that can cut electric bills in half and that don’t require frequent bulb changes. Given the need nationwide for more energy efficient and cost effective street lighting systems it is no surprise that we are now seeing the emergence of new technologies in LED lighting systems popping up on our streets. They promise to offer lower power consumption and can easily be powered through solar or wind energy generation systems and as a result the operational costs associated with their use are relatively low. Overall we can say LED Street pedestrian lighting is a fresh new alternative to traditional street lamps such as LPS, HPS, or MH street lights. With the no of road mishaps increasing manifold and many of us being victims of accidents, almost often the road rules keep changing. There are loads of traffic friendly equipment and technologies being installed on the roads to ensure the safety of the drivers and foot walkers as well. 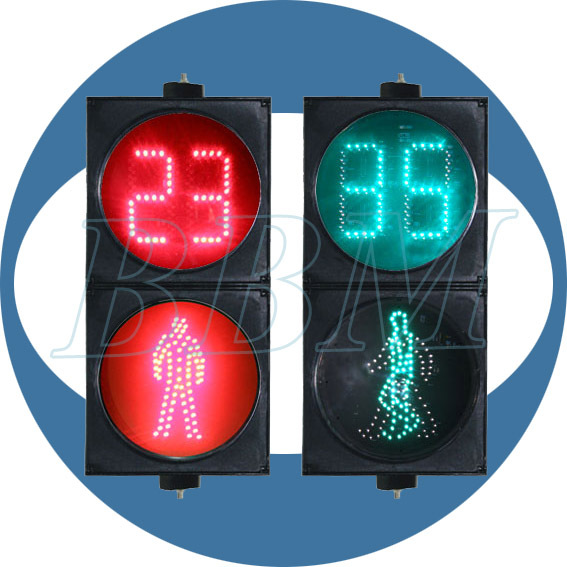 Signalized crossing, intelligent traffic equipment and devices and signal controllers are quite common these days. At this juncture, the companies manufacturing these road safety equipments are in a sortrace to manufacture the best and there are mor innovative products coming up almost everyday. A LED pedestrian light can be found installed at every signalized crossing to ensure the safety of the pedestrians. There’s no doubt in the fact that while controlling and maintaining pedestrian traffic, there’s no room for error. A small mistake in synchronizing the movement of people and automobiles can lead to a big mishap. In this regard, the introduction of LED pedestrian lights is a commendable approach to ensure the safety of the road bearers. These LED lights provide upto 90% energy saving and are quite easy to install. 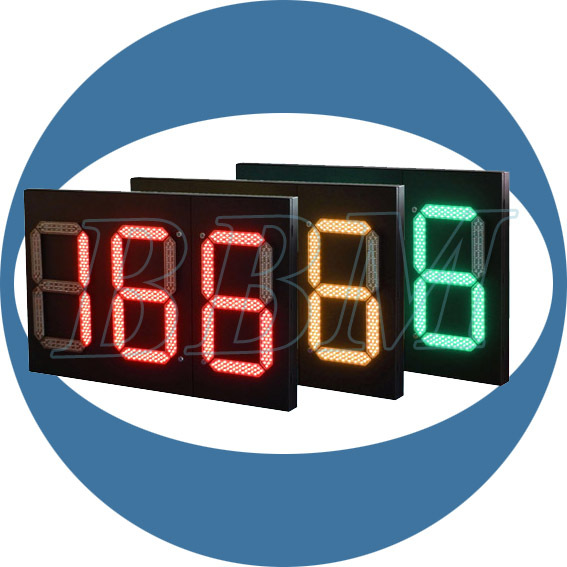 They are available in a LED or an incandescent look or a more advanced unit with digital display. They are quite affordable and require less maintenance. The intelligent traffic controllers are of great use in a situation of non-recurrent road congestion. The equipment can be put to quite innovative uses. During a situation involving serious road congestion, the traffic operator has to chalk out quick decisions to manage the traffic network. The intelligent traffic control system includes an adaptive traffic signal control algorithm to react fast to complex traffic situations. The traffic engineers have designed yet another traffic control device which can perform very reliably in demanding traffic situations. The traffic signal controllers are embedded with microprocessor technology to perform effectively and smartly in risky situations and control the traffic to ensure safety. They are being manufactured by traffic equipment companies keeping in mind the various requisites of the road. Almost every signal controller is field tested and designed to be exquisitely flexible with they demanding situation. They are configured to manage very simple and quite complex intersections in traffic.They are so designed as to perform both in stand-alone mode and while integrated. They are also designed to work at timesy of fallback like communication failure. Street lighting is extremely essential for driving during night. That is why it’s one of the most vital aspects for maintaining smooth & safe traffic after dusk. With the increasing volume of vehicles & roads, demand for street lighting is also increasing day by day. For several years now, different organizations concerned with the making of such lights have been enjoying a massive demand. Till the 90s they employed incandescent bulbs which utilized high-pressure sodium or mercury vapours. More number of traffic or street lights means more power needed to lighten them up. Sodium & mercury lights use a lot of energy. In early 90’s, the energy usage by these types of lighting went further than the expected level. The scientists began searching for an alternative which was energy efficient. After many researches, LED pedestrian lights were appeared as the best alternative of traditional street lighting. They not just use far less energy than the traditional mercury or sodium lights, but also deliver better light. All these qualities made premier cities in US and China shift from traditional ones to improved LED traffic lights and street lights. 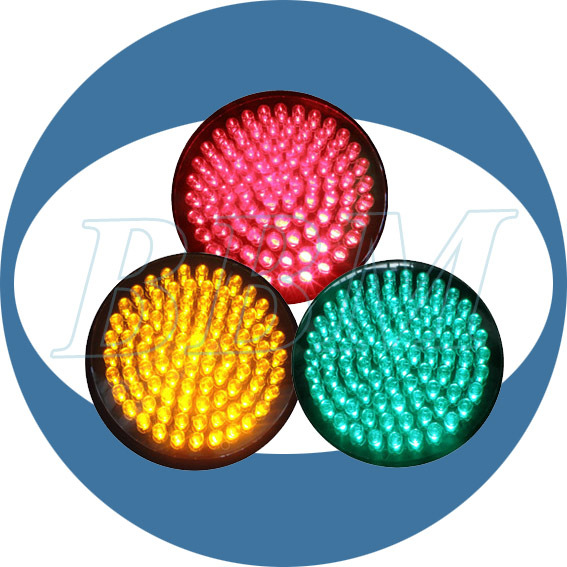 Initially, the manufacturers find it tough to produce quality LED light, but with progressing time the technology became better and these days you can easily find some of the big cities worldwide using LED traffic lights and pavement lights. This not just save big dollars, but also enhances the quality of lighting. In fact, the LED street light is an instance of inbuilt lights. The bulbs aren’t detached from the board. A bunch of LED bulbs is sealed to a board and heat sink is fixed to it in such form of light. The heat sink is employed to soak up the heat produced by the LED ones. Generally a single high-power LED bulb is employed to produce such lighting, but different organizations these days have begun employing a pack of low-powered LED bulbs to produce the same outcome. A conventional street light consist a reflector at the back of the lamp which generally causes a considerable loss of illumination and it causes light pollution as well. The glare generated by such light is also not secure for the drivers. 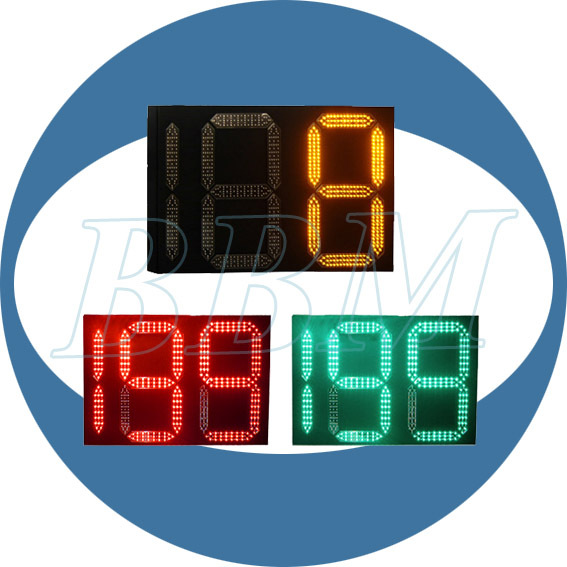 The LED lights generally posses a lens on the LED board, which not just stops the loss of illumination but also, deliver a well-defined rectangular pattern. They don’t make any glare also. Whether it is about street lighting or traffic light, the LED lights are turning out to be a much better option than the traditional incandescent bulbs.